Loading in system from the front, from the side and from the back. The packer-container for papers and cartons has got a door with the touch at the side to open the whole cross-section for emptying. 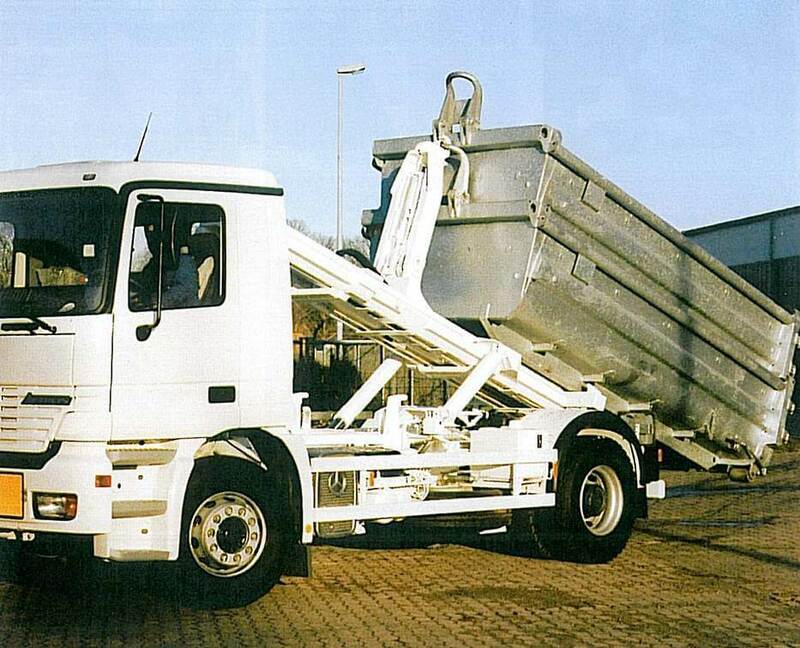 The lift of the truck is able to pick up the packer-container standing or lying because of his kinematics. 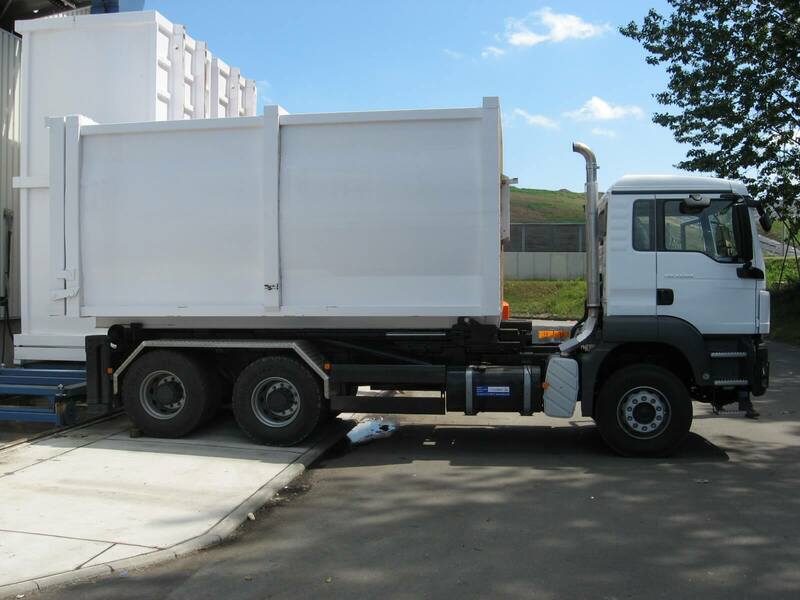 If there empty the container MC 7 and MC 10 can stored and guarantee through this the optimal use of the capacity of the truck. 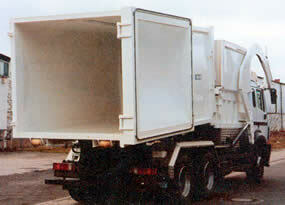 Through a patented construction of the flap at the back the container can be used for biological waste optimally. By setting up the container vertical the liquidity is flowing into a separate room which can be opened from outside. 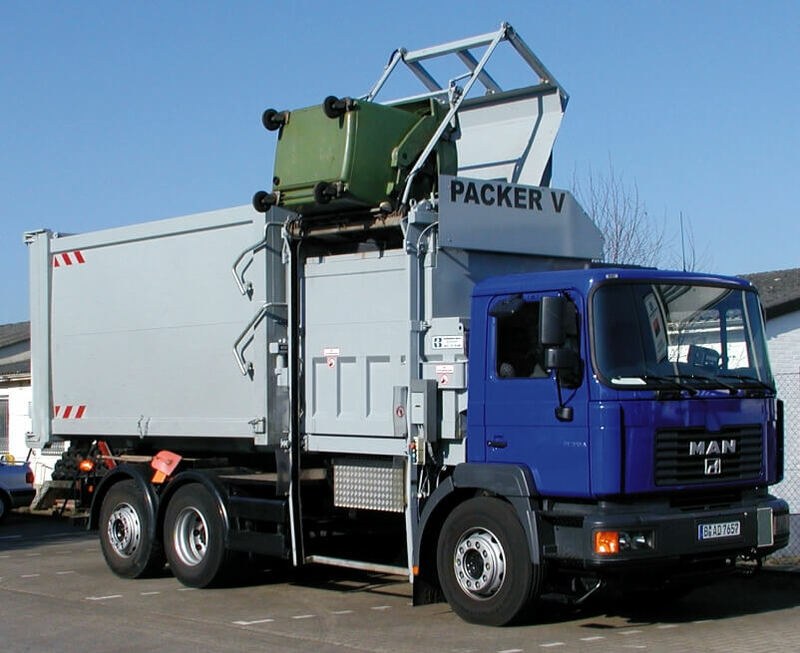 For compacted disposal areas, which are far away from the location, together with the Packer IV a tandem-trailer with an own lifting equipment can be used. 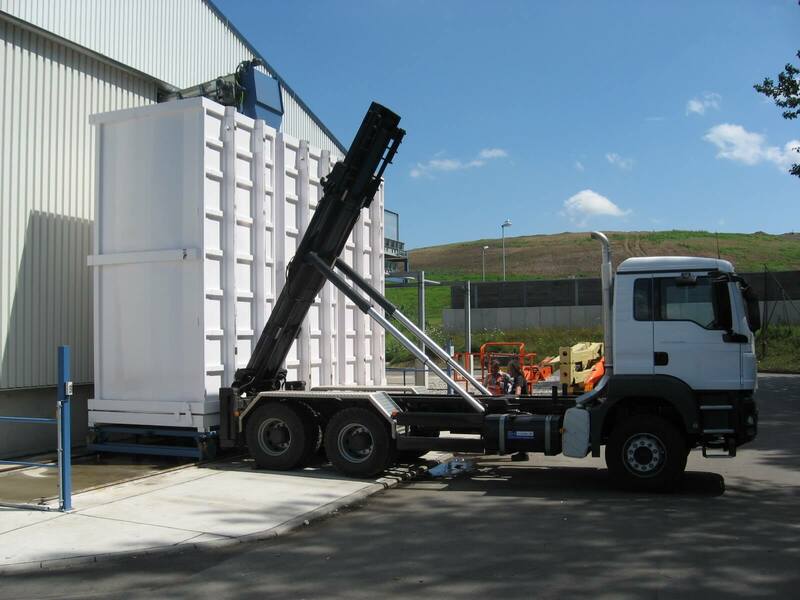 Through this it is possible to take with you and to put down an additional empty container, which can be used as an unloading container meanwhile. 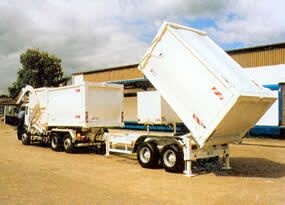 Of course the packer-containers can also be transported by the existing 3-axle Combilift.